Inktoneroutlets.ca provides the highest quality of the HP CF210X-CF213A (HP 131A 131X) toner cartridges for the lowest prices possible. 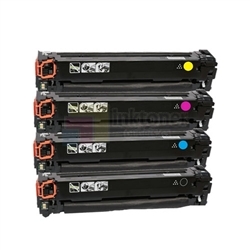 Our compatible HP CF210X-CF213A (HP 131A 131X) toner cartridges are made by our manufacturers that have passed ISO14001 certificate and the ISO9001 for their quality. 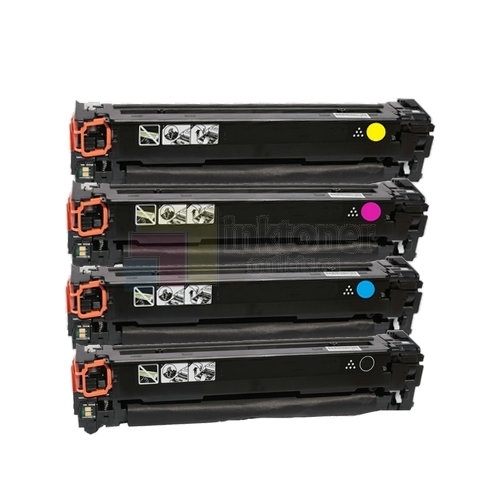 Each compatible HP CF210X-CF213A (HP 131A 131X) toner cartridges goes through screening to insure that they are well perform at a level that is consistent with the OEM HP CF210X-CF213A (HP 131A 131X) standard of quality, durability and long lasting. Customers don't need to worry if they run into any problems with our products as Inktoneroutlets.ca products come with a 1 year risk free guarantee.